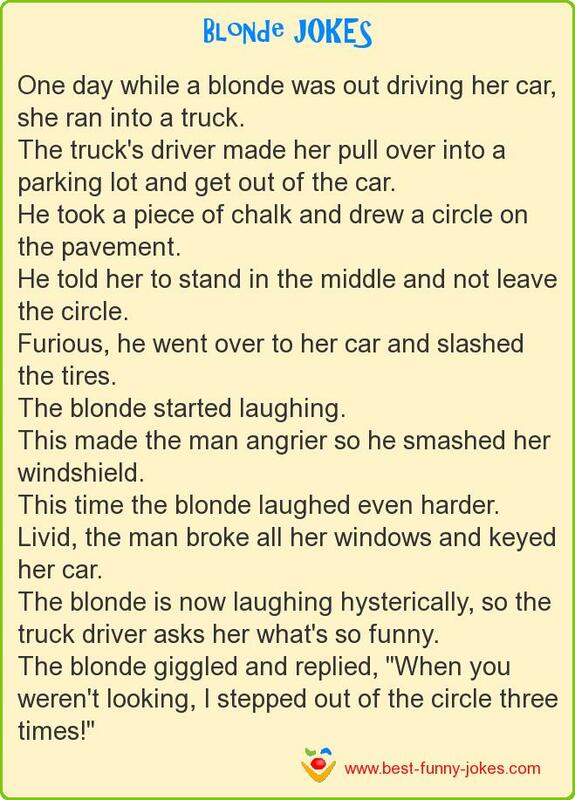 One day while a blonde was out driving her car, she ran into a truck. He took a piece of chalk and drew a circle on the pavement. He told her to stand in the middle and not leave the circle. The blonde giggled and replied, "When you weren't looking, I stepped out of the circle three times!"